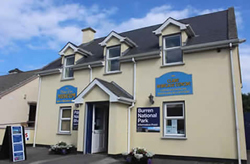 The Burren National Park Information Point is on the ground floor of the Clare Heritage Centre on Church Street in Corofin, Co. Clare. It is managed by the National Parks and Wildlife Service and is open to the public from April until the end of September. 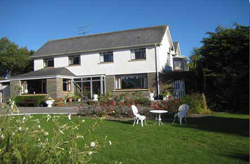 The Information Point was newly refurbished in 2012 and provides information on the formation, management and flora and fauna of the Burren National Park.Our aim is to provide information on the National Park and to promote conservation through awareness and education. Free walks, talks and activities suitable for all will be organised on a regular basis. Guided walks for groups can be booked in advance.